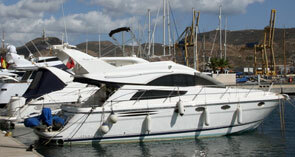 Our team will provide you with information and assistance on arrival at our marina. Our goal is the quality in the service and customer satisfaction. Tourist information, medical services, cleaning and maintenance of vessels, nautical repairs, airport transfer, parcel collection and delivery, etc. Contact us and we will help you with any need you may have. Remember we work for you to enjoy your stay. The team at Yacht Port Cartagena makes of this one of the most welcoming marinas on the Costa Calida, providing a professional and personalized service to our customers.